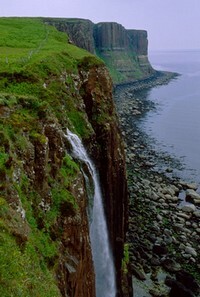 The Isle of Skye is a beautiful and ethereal island on the west coast of Scotland. It is the setting for so many intriguing stories of romance and heroism. Even further back into pre-history, Skye still bears witness to other lives, those of the hunter gatherers who lived here about 7500BC and used antler and stone to make tools. The shells from the shellfish they scooped out and ate can still be found. The landscape is truly other-worldly, and the Cuillin Mountains were indeed formed in another chapter of the world's history, the age of volcanic activity, now frozen in time. Skye has such mystique about it. Even its name, "Skye" (probably taken from the Norse word "Skuyo" or the "Isle of Clouds") tells you there is something distinctly spiritual about this island. In 2007 the Highland Council planned to change its name to the Gaelic Eilan a Cheo (Isle of Mist). Forty percent of the residents of Skye speak Gaelic. It is 639 square miles in size, and after Lewis and Harris it is the second largest Island in Scotland. 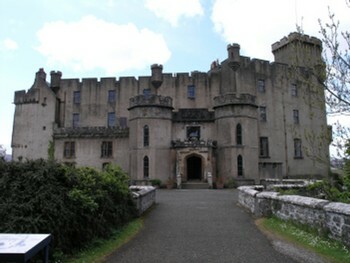 It is linked to the mainland by the Skye Bridge and ferries. 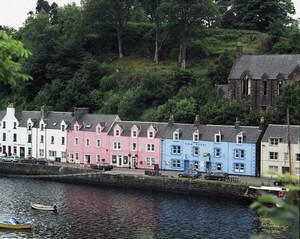 The largest town is the picturesque Portree. 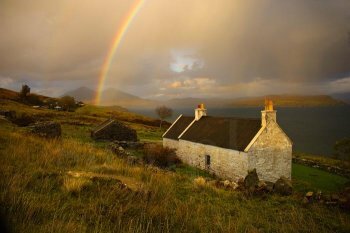 Everytime I think about Skye I am always reminded of the lovely "Skye Boat Song"..a famous song about Flora MacDonald, a courageous member of the ancient MacDonald Clan who rescued Bonnie Prince Charlie after the Jacobean uprising in the 1700's. In Portree, the Royal Hotel stands on the site of McNabs Inn, the last known meeting place between Flora and Bonnie Prince Charlie in 1746. 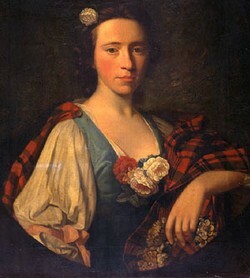 Flora MacDonald met The Prince known as Bonnie Prince Charlie, the Pretender to the throne of Scotland, in 1746 when she was 24 years old and living on the Island of Benbecula in the Outer Hebrides where he was hiding after the Battle of Culloden. The MacDonalds were secretly sympathetic with the Jacobite cause, and Flora's father, who was in charge of the local militia, assisted her passage to the mainland by boat with Bonnie Prince Charlie on board, disguised as an Irish maidservant. 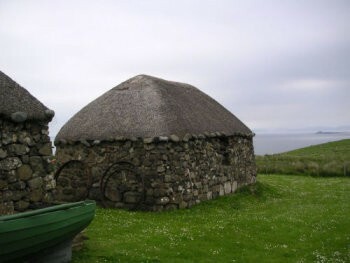 They landed safely at Waternish on Skye, and from there the prince was taken into hiding. However, the boatman gossiped, and Flora's plot was uncovered, and she was imprisoned in the Tower of London until her eventual release and emigration to North Carolina. 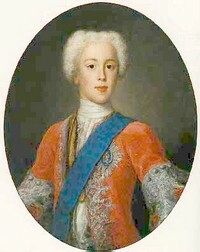 Bonnie Prince Charlie spent the rest of his life in exile, and he died in Rome on 31st January 1788. Flora's life did not end in America and she returned to Skye, eventually ending her days peacefully at Kingsburgh, Skye in 1790 at age 68. Reminders of Flora MacDonald and Bonnie Prince Charlie are everywhere in Skye, but the other famous landmark is Dunvegan Castle, keeper of the legendary "Fairy Flag", and therein lies another tale...! According to legend, an early Clan Chieftain married a fairy after spending time with her in the fairy Kingdom. They returned to the mortal realm, but sadly the fairy could only stay seven years. Before she left however she had a baby boy, and returned to the fairy world, leaving him with his father and a warning that he must not be left to cry as she could not bear to hear him crying. The Chieftain's clan tried that very night to distract and console him with a party. The baby's nursemaid could not resist joining in this party and during her absence the baby began to cry. The chieftain, on seeing the nursemaid at the party, rushed back to the baby's room, to find his wife rocking the baby. It was too late, and they both disappeared, and the only trace left behind was the baby's blanket. 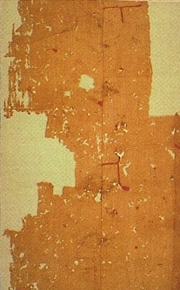 That blanket was the Fairy Flag, and is still kept at Dunvegan Castle. It is said that if it is waved (and it possesses only three waves) a fairy army will be summoned. It has been used only twice, once during a battle, and once to save the cattle, who were dying of pestilence. During World War II local pilots were given a piece of the flag and not one was lost. So it has only one wave left. Everywhere you go on Skye you will see landscapes the like of which you have never seen before so you must take your camera! 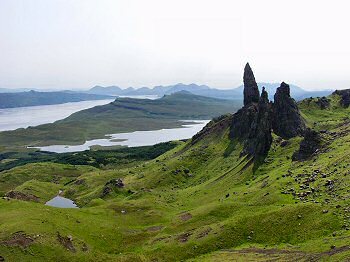 This is the "Old Man of Storr", a weirdly shaped rock pinnacle, the remains of ancient volcanic plugs. Walking on Skye is a delight. There are so many aspects of this landscape to experience. Skye also has some serious climbing for those who are interested in doing something more strenuous than walking or hiking. In fact the huge rock known as the Inaccessible Pinnacle is the only summit in the British Isles which can only be reached by serious rock climbing skills and technical knowledge. The other strange sight you might see on Skye is one of these so called "black houses" This is a traditional house made of dry stone walls packed with earth and a reed thatch.These traditional dwellings used to house livestock as well as people, and were still in use as late as the 1970's. Many of them have been restored for holiday accommodation, but there are hotels and bed and breakfasts if you would prefer!! 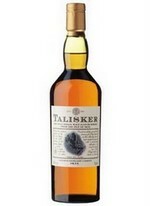 Besides fishing, crofting and tourism, Skye also has a whisky distillery that produces a single malt whisky, the Talisker Distillery. This is the finished product..
Everything about Skye is magical, even a little cottage on a hillside. It's not just the whisky that encourages you to believe in fairies! For those of you who are interested in the "Harry Potter" movies, (the captain of the Quiddich team! 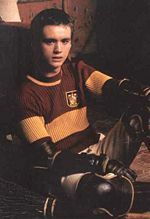 ), Oliver Wood (also known as Sean Biggerstaff) hails from Skye. 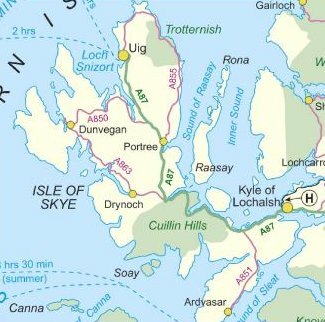 Here is a map to help you to find your way around on Skye..